IHT-30 liquid cooled model (76171) is a high powered, high specification machine for controlled, safe and efficient heating of ferrous and some non-ferrous metals. Its many features include 3 x computer controlled heating modes, 1.5L liquid tank and cooling fan assisted radiators. Model IHT15 (80808) is an easy-to-use induction heater kit with four different shaped coils. It’s operated by simply placing the appropriate coil over or around the ferrous metal to be heated. 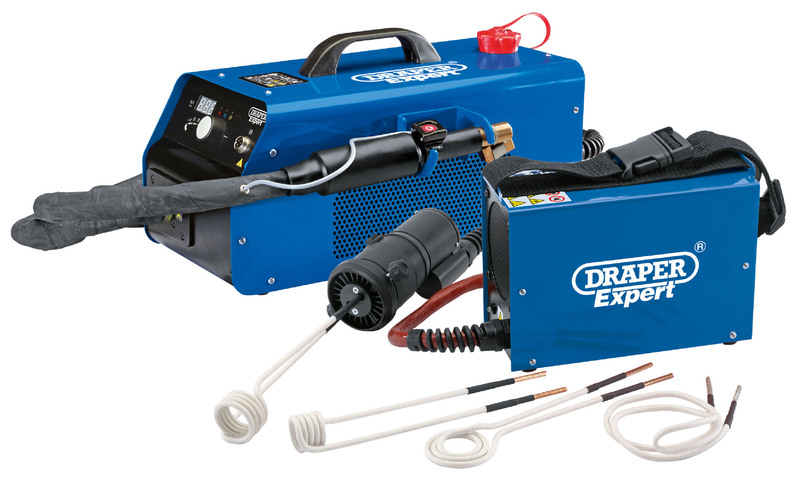 Both these machines enable the user to replace dangerous and difficult to control oxy-acetylene gas heating with simple to use but highly effective electrical induction heating. Draper Tools is a leading distributor of hand and power tools. Established in 1919 by Bert Draper, the company is still family owned and run today. Draper Tools prides itself on the range, quality and value of its expanding product portfolio which includes over 10,000 quality products. Product categories: automotive, gardening, agriculture, DIY, construction and many more.